Is a High-Rise Condominium right for you? There are several things to consider when you’re thinking of purchasing a condo. What types of condominium features are important to you? What type of HOA fees apply and what do they cover? Is there any type of pending assessment on the property? These are just a few of the questions that we can assist you with by providing expert buyer representation to handle all your needs. We have the knowledge and information that you can trust when purchasing a condominium in Las Vegas. In today’s market there are many excellent choices for luxury high-rise condo living located near the excitement of casinos and dazzling hotels on the Strip and near downtown. Condos, especially those near the Strip remain in continual high demand. The high-rises in Las Vegas vary in size and price. Studio units available average around 500-700 square feet. The larger premium units usually located on the higher floors can be much more spacious and luxurious, with a higher price tag. Amenities that condo buildings offer are pool, spa, tennis, fitness centers, business centers, wine cellars, beauty salons, screening rooms, libraries, lush gardens, 24 hour security, underground parking, concierge services, valet parking and much more. If you enjoy shopping, Las Vegas is also home to some of the most magnificent stores in the world located conveniently on The Strip among high-rises and all the Las Vegas entertainment. 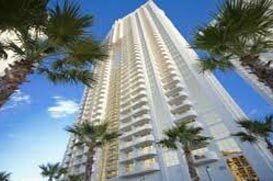 Lakefront condos, mid-rise condos, condo hotels and low-rise golf course condos are also available in Las Vegas and surrounding areas. Depending on your budget, it is possible to get the perfect condo to fit your needs.